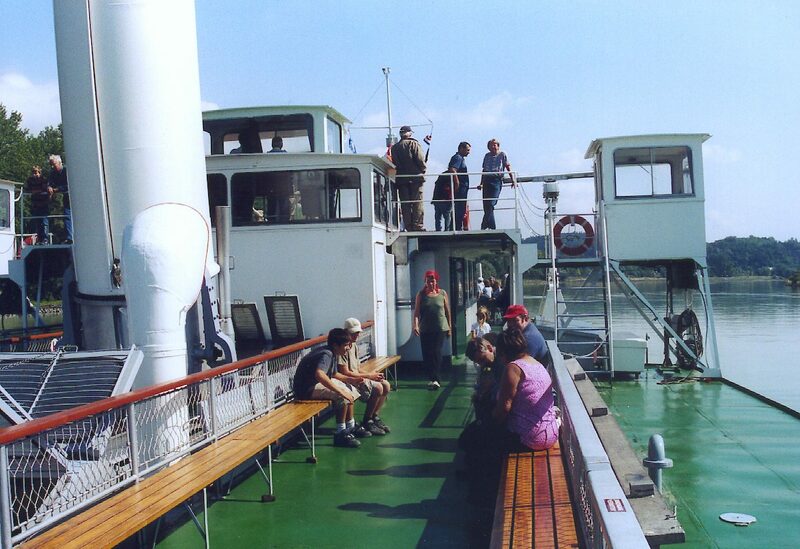 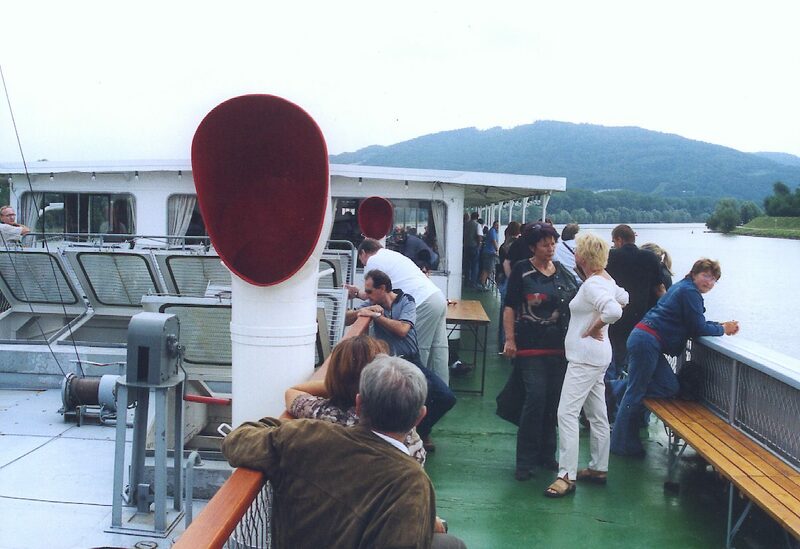 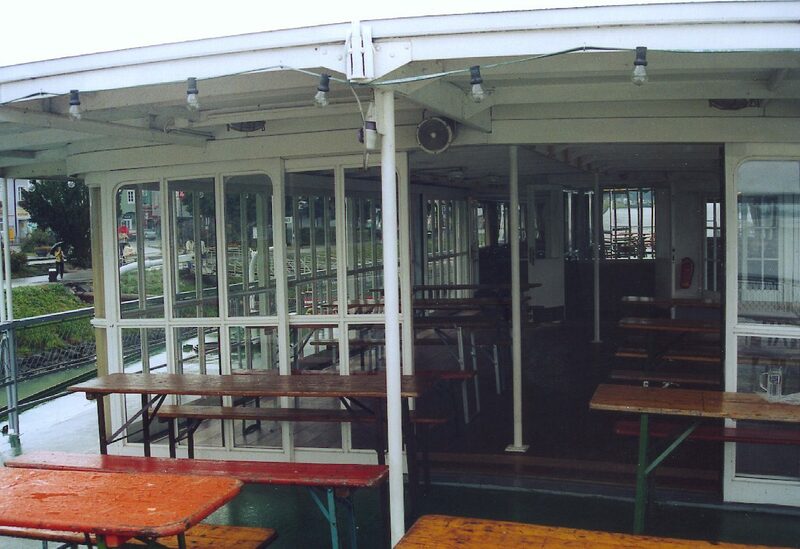 Schonbrunn at Grein - destination of a trip from home base Linz in 2003. 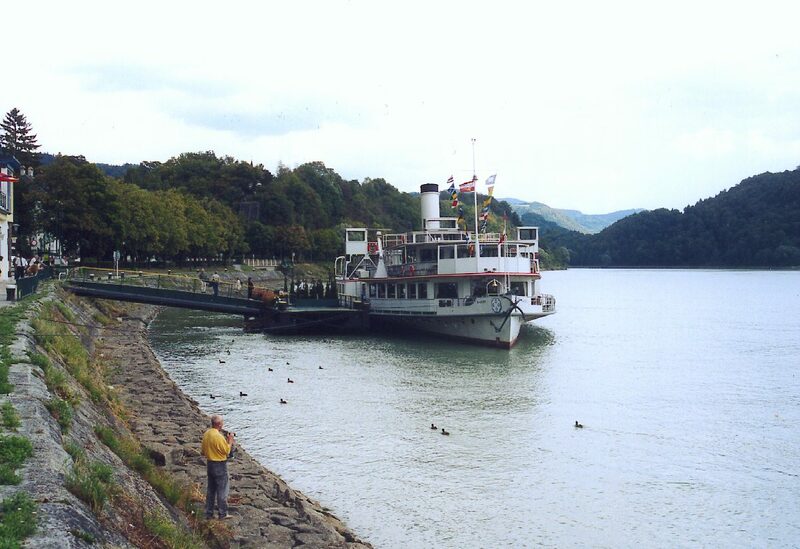 Schonbrunn is the last of the numerous steamers operated by the DDSG company and was saved from the scrapyard by the Austrian Railway History Society who operate her on numerous cruises, generally at weekends, throughout much of the year. 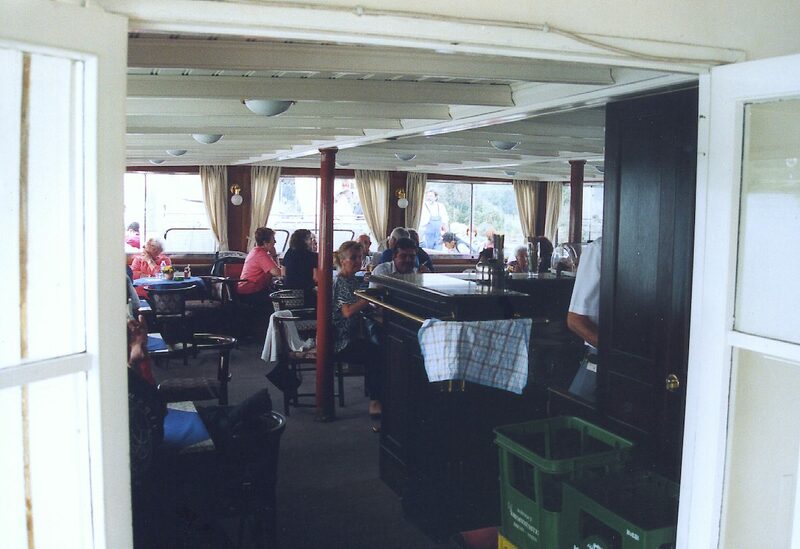 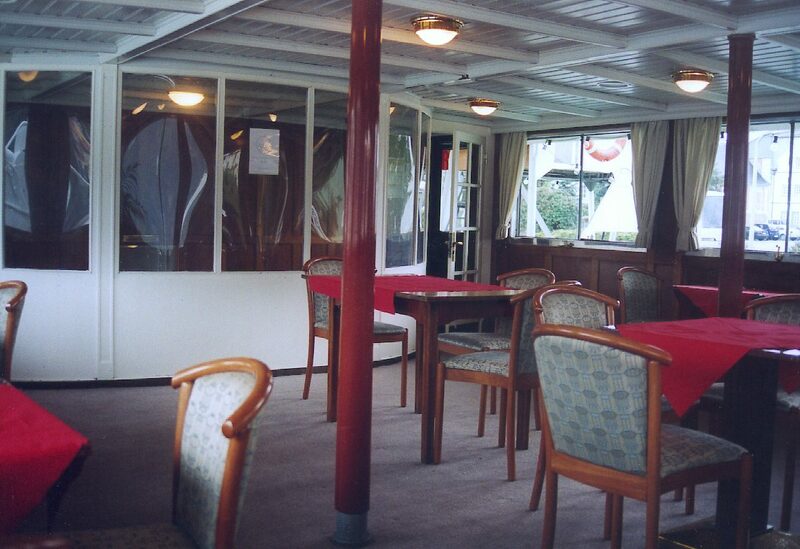 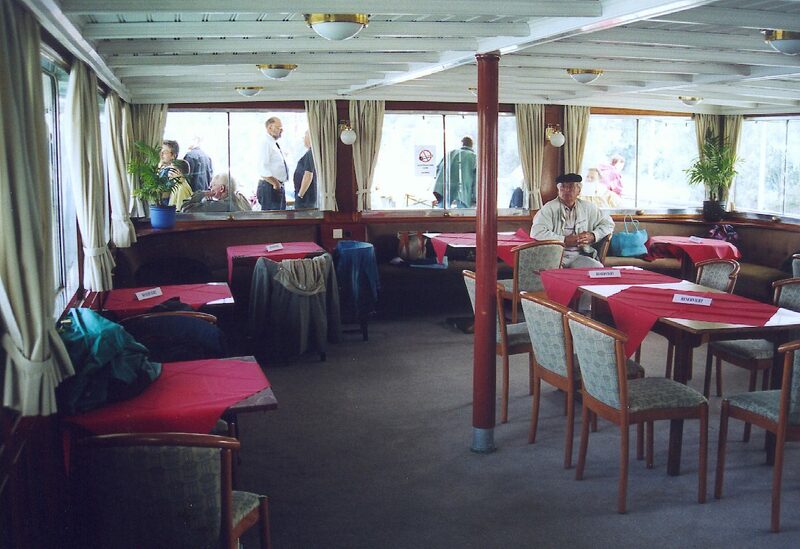 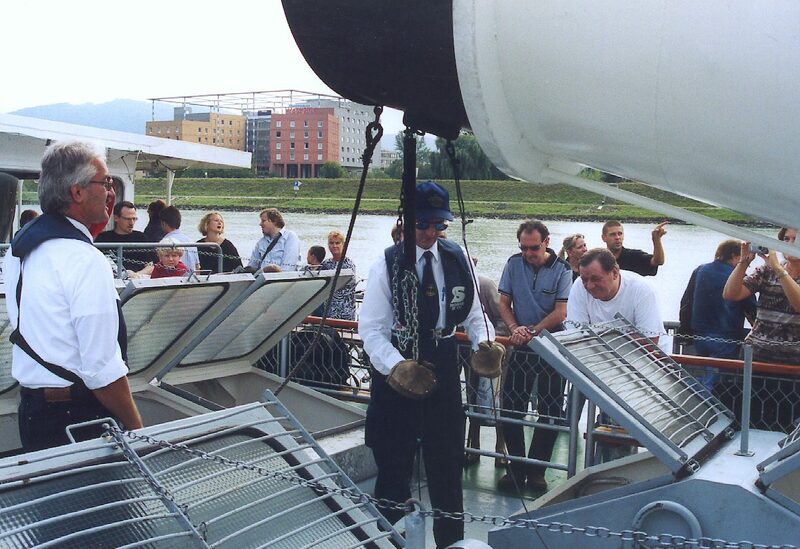 Further enclosed accommodation aft is the so called "Winter Garden"
..........and also lower the hinged funnel. 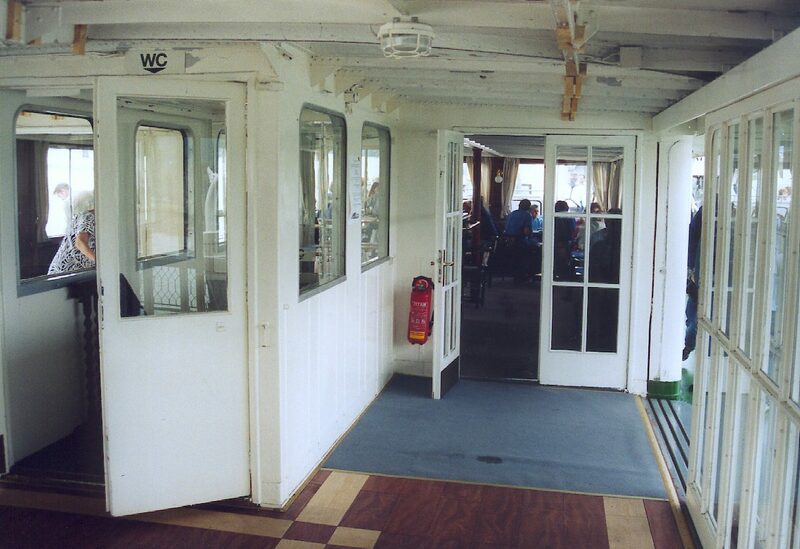 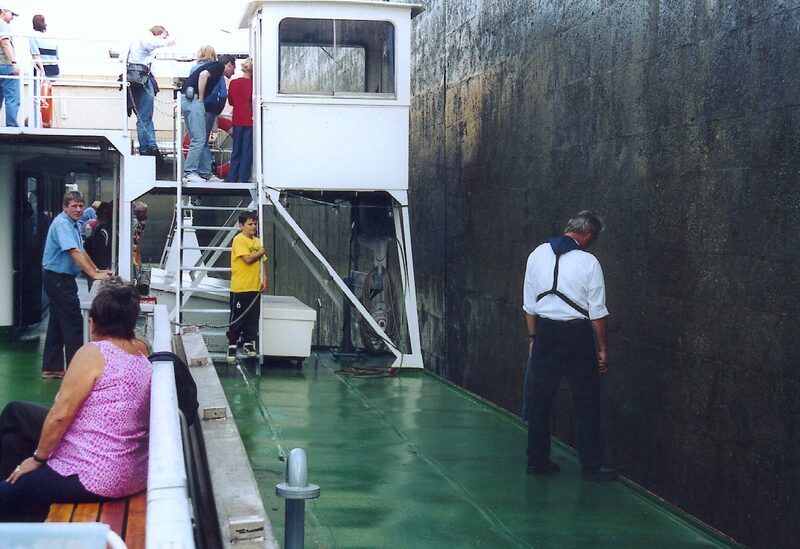 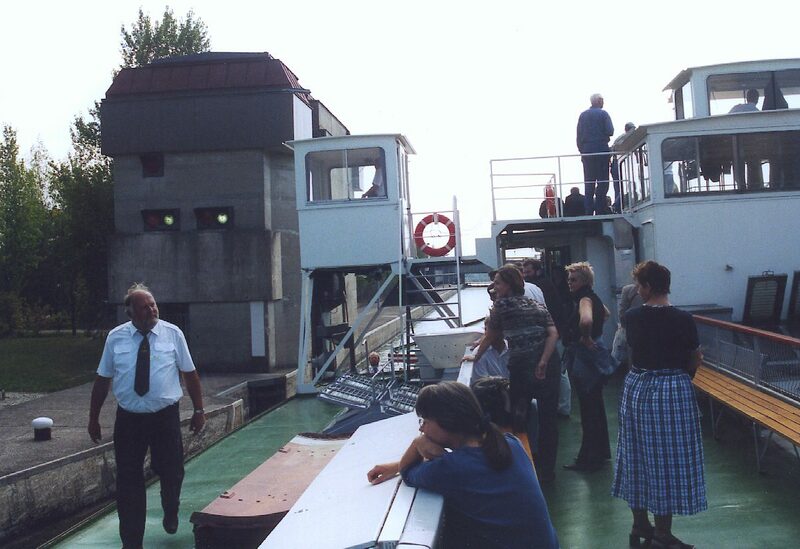 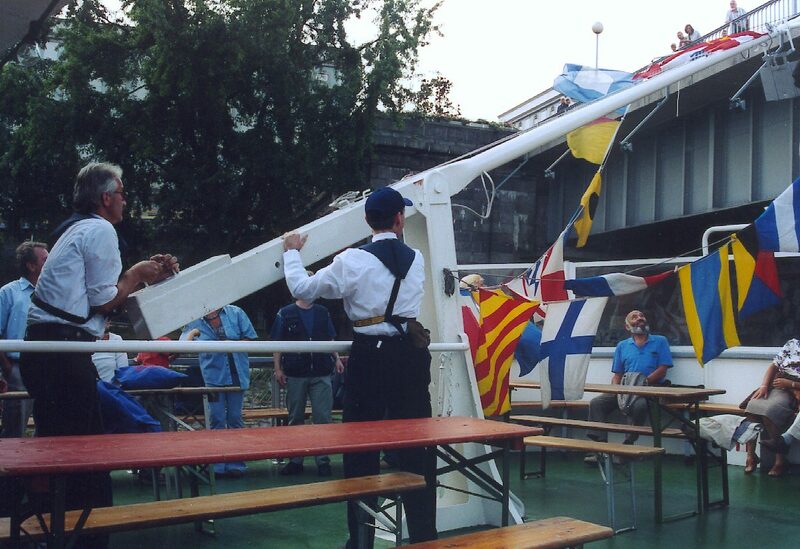 The captain's wheelhouse also lowers, this time hydraulically, to squeeze under the lowest bridges.